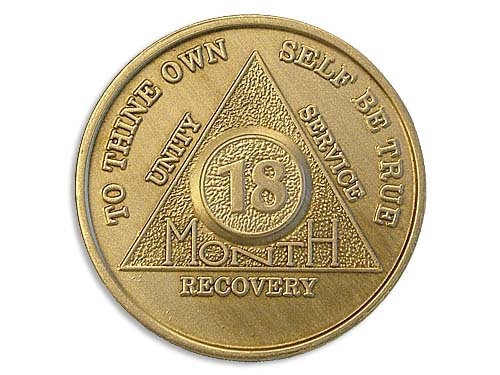 Commemorate eighteen months of sobriety with a traditional bronze 18 Month AA Chips! 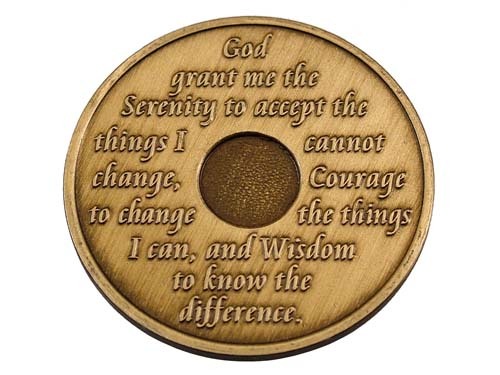 All bronze AA month chips are available for individuals, facilities, and Alcoholics Anonymous groups. 24 Hour, 1 through 11 Month, and 18 Month Bronze AA Tokens are available! Multiple AA Chip Easy Order Page HERE!